According to a report from Information Gatekeepers, Inc. (IGI) Consulting Inc. the U.S. market for unmanned aerial vehicles (UAVs) or Unmanned Aircraft Systems (UAS) is estimated to grow from $5 billion in 2013 to $15 billion in 2020. While at one time UAVs were the province of the military, they are now being made and the market drive by growth in the commercial and do-it-yourself markets. 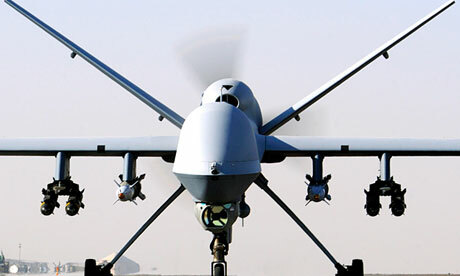 Technically, Unmanned Aerial Vehicle (UAV) is the name given to the aircraft that flies around and collects data and imagery. Unmanned Aerial System (UAS) describes the whole package of products that are needed to operate the system, including the UAV, the ground control system, camera, GPS, software, and the skills required to operate the system and the tools for maintenance. The growth in this market is expected to come from various industries, including package delivery from companies such as Amazon and UPS, filmmaking, surveying, oil and pipeline, electric utility, real estate and agriculture. What will spur this growth in the UAS industry? Those who know are those who are developing the technology, and the standards that are being hammered out to address the various issues surrounding the commercial use of this technology. I spoke to many of you at Esri UC, but I know there are many out there that I may have missed seeing. Please contact me at your earliest convenience to be included in the October coverage. Deadline for materials: October 1, 2014. Climate Central's new interactive wildfires map for the U.S. This entry was posted on Thursday, September 11th, 2014 at 7:23 pm. You can follow any responses to this entry through the RSS 2.0 feed. You can leave a response, or trackback from your own site.